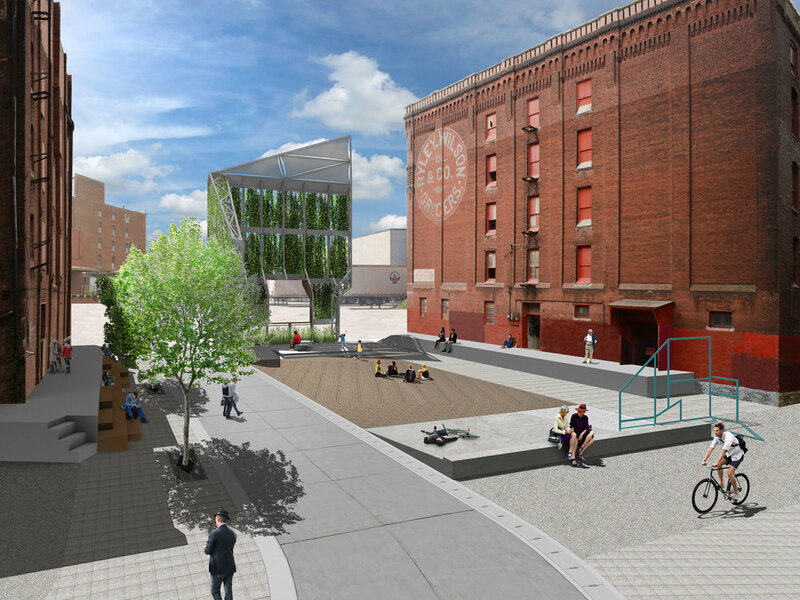 Taking its name from the avenue that used to run through it, Liberty Courtyard stands as a reminder of what the West Bottoms used to be and as a hint of what it can become. Raised loading docks line the base of the brick warehouses that touch the courtyard, providing evidence of the past loading and unloading that occurred as the nearby warehouses relied on the railroads to transport their goods. The Liberty Courtyard boasts a rich material palette that embodies the industrial history of the West Bottoms. There are eroding reveals of sett stones and abandoned rail lines underneath the gravel and asphalt. 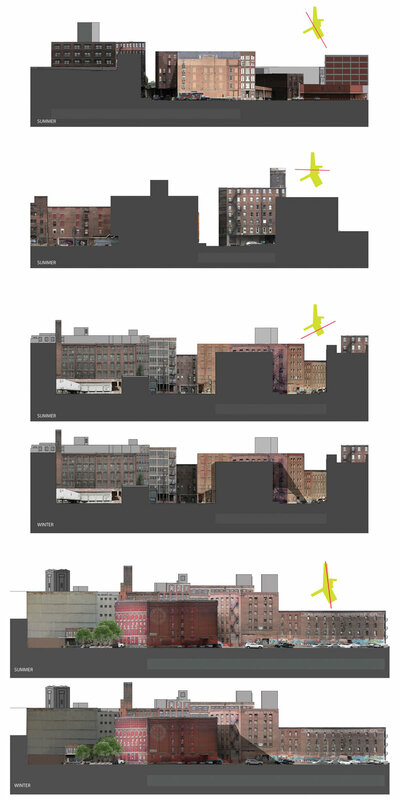 Due to the orientation around the train and its turning radii, the brick facades rise in unconventional angles that give the courtyard a funneling sense of motion. The Hobbs Building on the courtyard’s northern edge hosts many artist studios. The Abernathy Building is destined to be repurposed into small apartments with a few small commercial uses at the ground floor. At the base of the Abernathy is a series of graffiti murals known as Art Alley. These murals are popular backdrops for amateur and professional photographers alike. Recently, just outside of the courtyard, a sculpture made out of rail line, deconstructed shipping containers, and a deconstructed water tower was installed by artist Ben Wolf in collaboration with BNIM. 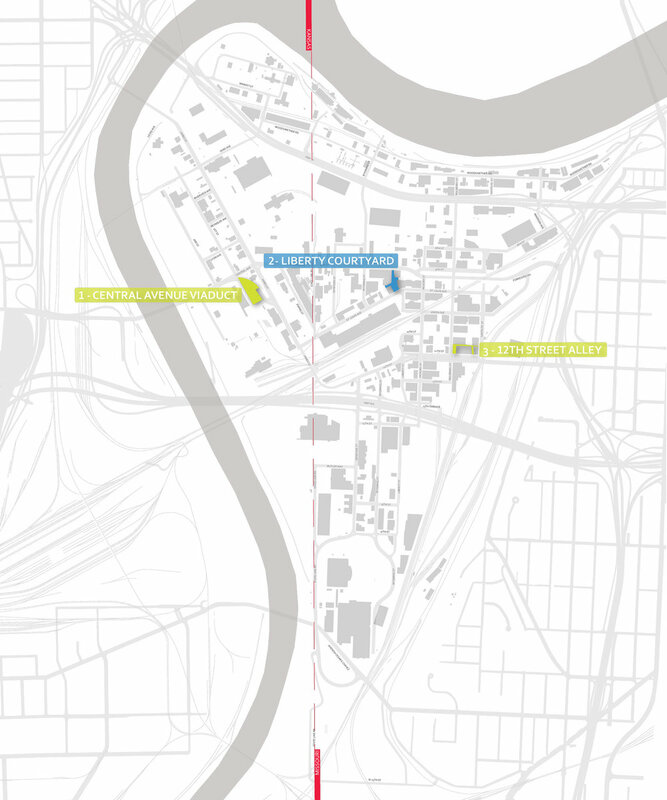 For more information on the analysis for the Liberty Courtyard site, please refer to the KCDC's project publication for the first phase of West Bottoms Reborn. 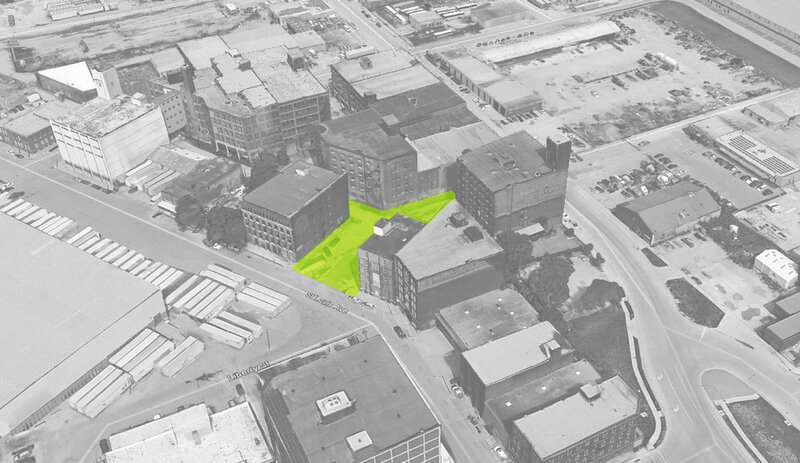 The core of the design exploration in Liberty Courtyard begins with a geometrical study of the complex relationships resulting from a mashup of street grids and the West Bottoms industrial, railroad oriented history. 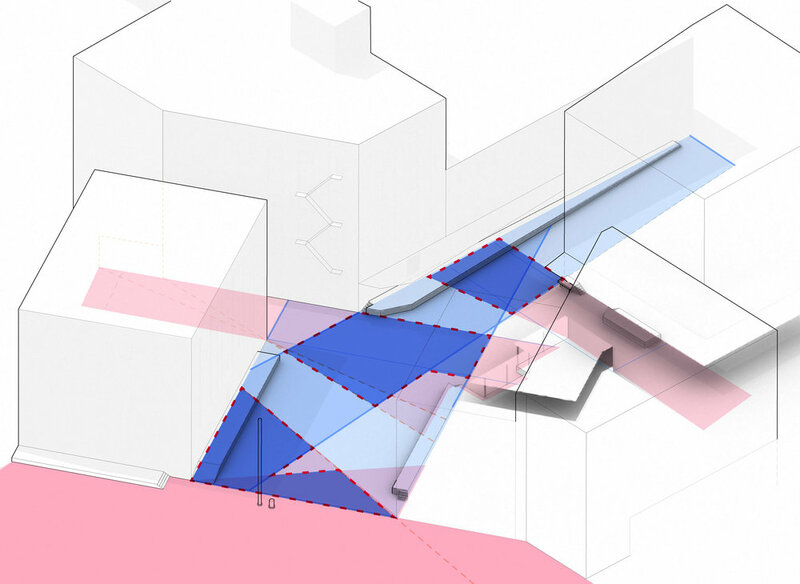 These relationships and how they are experienced result in an overlapping of spatial multiplicity into three zones. 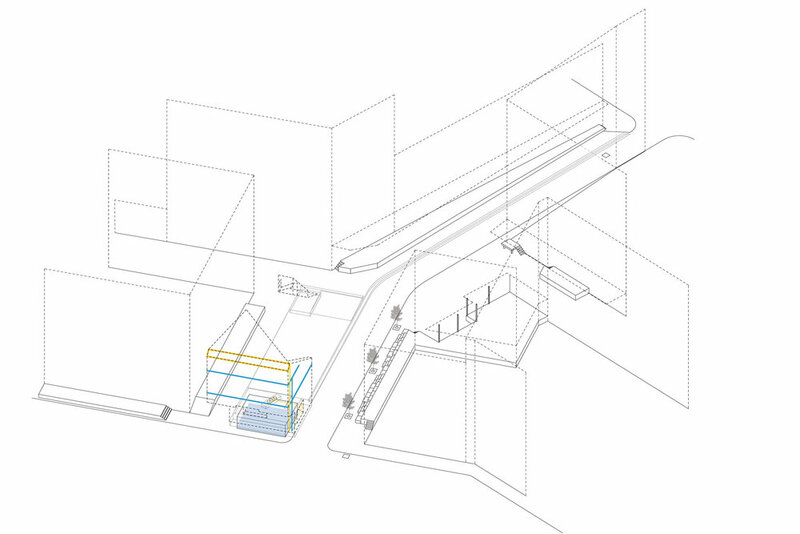 These zones are the conceptual basis for design. In order to resolve water management issues in Liberty Courtyard a trench is carved down the length of the site, intersecting the three zones. This trench is intended to channel stormwater into cisterns with the first flush going into a bioretention, infiltration area on the site's southern end where sunlight is most ample. 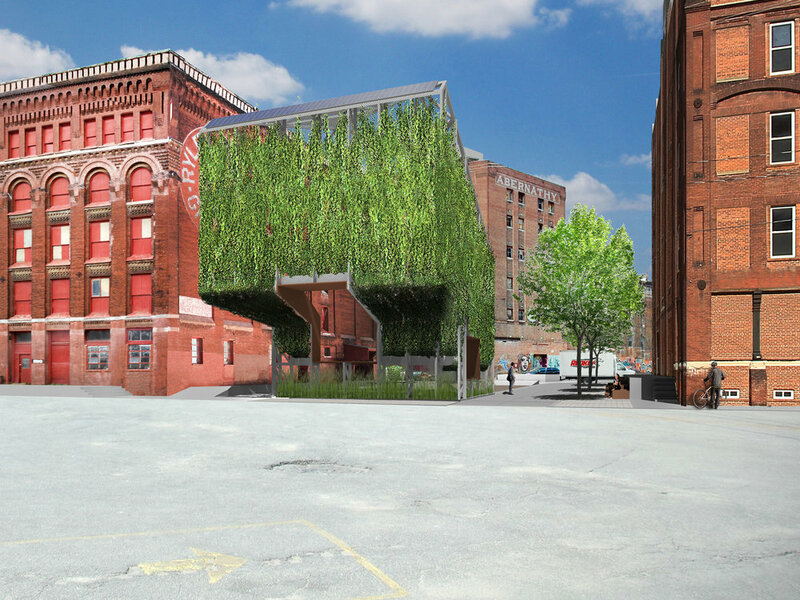 This feature is exposed with a green wall which is intended to provide spatial definition at the mouth of the courtyard, serve as a shading and wind blocking device, support a vertical habitat through the use of cisterns and pumps powered by solar panels on the wall as well as rearticulate the relationships beyond the site through the use of aperatures which frame certain relationships in the found environment. 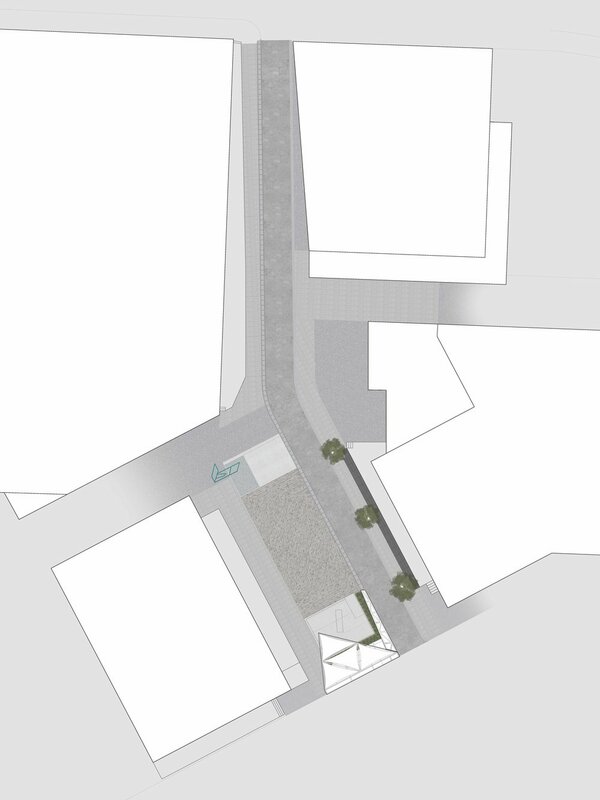 Pavement changes and public seating, supplemented by urban furniture, is intended to multiply the relationships between the buildings, docks and zones by amplifying pedestrian circulation patterns and providing a place to experience the powerful moments the courtyard has to offer. A system of three dock units has been designed in order to engage the docks in public right of way as well as resolve outstanding code issues with them. Together with the greenwall, these design elements rearticulate Liberty Courtyard's found condition while transforming this place from service oriented ambiguity to a more green and pedestrian atmosphere while still preserving vital infrastructural functions.